Well, one thing I haven't talked about is how desperate I was for a new flat iron (mine has a short in the cord and was on the edge of frying my fragile hair at any given point), as well as a decent blow dryer that doesn't frizz out my platinum hair. Imagine my surprise and flat out giddiness, when Misikko asked me if I'd like to review some of their products....um, heck yes! And also, do you read minds??? You would NOT believe the kind of VIP treatment they sent me. The day the boxes arrived, I was blown away with all the goodies they included in addition to the actual products...makeup, brushes, ornaments, bags of purse essentials, you name it. I actually had the presence of mind to snap some photos of this amazingness, however, my mind left me evidently when I accidentally erased them all from my camera. Grrrr. Anyway, I would like to take a moment right now to thank Misikko for making me feel so special. I could take a few cues from them when packaging Christmas presents! 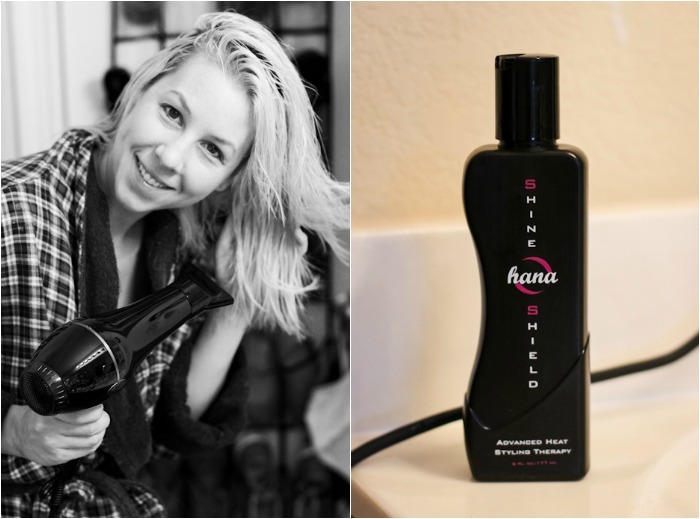 Misikko sent me their HANA Air hair dryer, the HANA Elite flat iron, and the HANAair Shine Shield. I've come to love all of these products and highly recommend them. 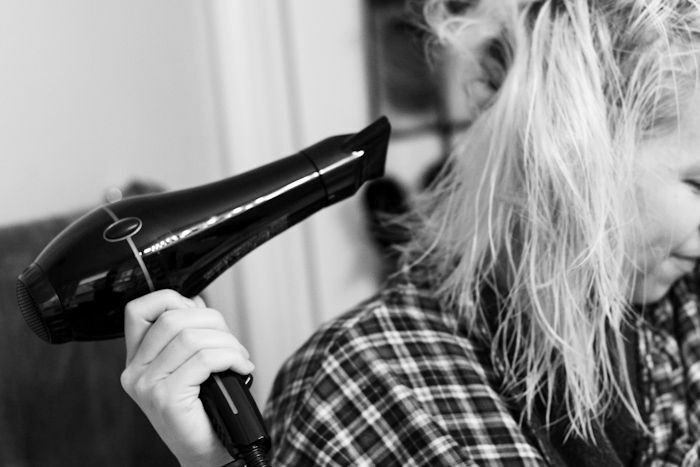 First off, the dryer is pretty much the BEST Blow Dryer ever! I feel like I'm at the salon...and actually think I could style my hair like my stylist does now...except of course for that burn in my shoulders! After drying, I use the Shine Shield to protect from the heat (I used this serum before drying too, but I found out I like better to wait until it's dry)...which totally tamed the frizziness as well. 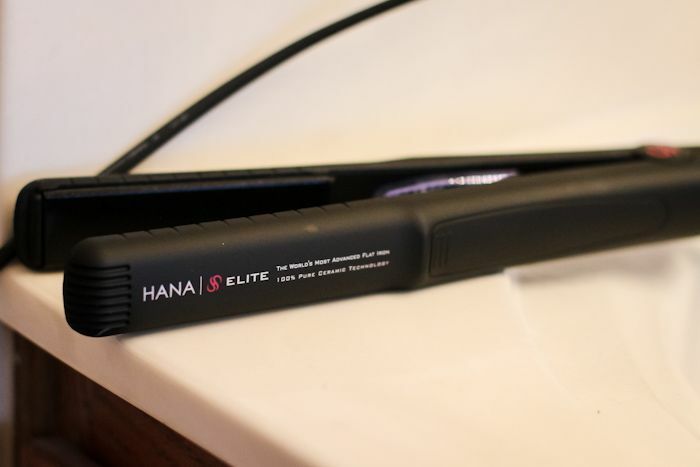 I then use the HANA Elite flat iron and feel the same way about it...obviously, it's a professional hair straightener that's used in salons. I love that I can control the exact temperature so not to fry my hair. I also really appreciated the extra long cords on both the dryer and straightener. 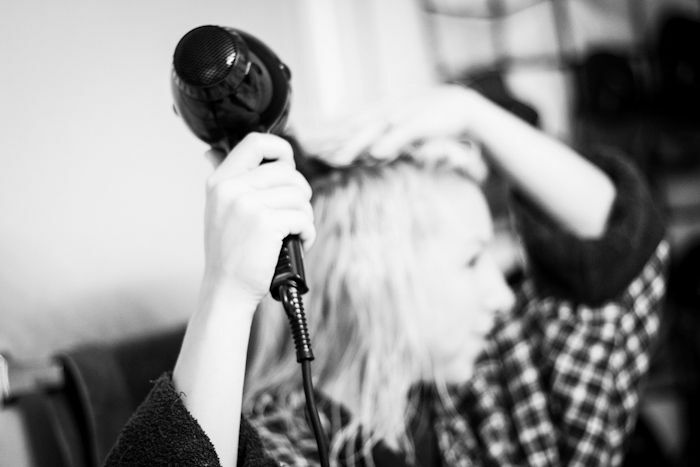 If you're in the market for some new hair tools, I could not say more about these products. Seriously. I'm obsessed about fixing my hair now! :) You should totally come over a we can play hair salon! You can find these products HERE and visit Misikko on Facebook! *Disclaimer: I was provided these products by Missiko for review, however the opinions are completely my own. Yes! I'm coming over to play hair salon, for sure! I'm glad you really like it. 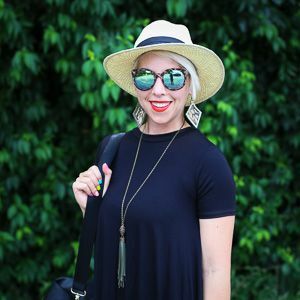 I need to start protecting my hair more…so I'm going to need to check out some of the styling therapy products. I lost half my hair too. Ugh! Using a serum before I flat iron has really made a difference! You are too cute! I love these photos. I finally made friends with my diffuser this year and started wearing my hair curly instead of using that straight iron every day! I use a heat protectant too, I'll have to check these products out.